Interpol could decide to help Russia arrest Browder | Russian Legal Information Agency (RAPSI). MOSCOW, June 19 (RAPSI) – Interpol could still help Russia search for Hermitage Capital CEO William Browder, the spokesperson of the Prosecutor General’s Office, Marina Gridneva, told journalists. 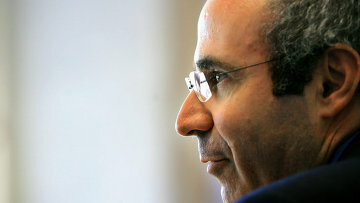 Bill Browder is an international financier and investor, one of whose employees in Russia was Sergei Magnitsky, whose death in a Moscow prison in 2009 provoked an international outcry. From 1995 to 2007, Browder was the largest portfolio investor in Russia. Russia appealed to Interpol for help in arresting Browder on a charge of “qualified swindling” as defined by the Russian Penal Code. “The independent Commission for the Control of Interpol’s Files decided at its 89th meeting in Lyon, France on June 5-6 to review its decision regarding the search for Mr. Browder,” Gridneva said. In the summer of 2013, a Russian court sentenced William Browder in absentia to nine years in a penal colony. The court found that in 1997-2002, Sergei Magnitsky, an auditor for Hermitage Capital Management, created and applied an illegal tax evasion scheme in the interests of Mr. Browder. 17:04 19/06/2014 Interpol could still help Russia search for Hermitage Capital CEO William Browder, the spokesperson of the Prosecutor General’s Office, Marina Gridneva, told journalists.